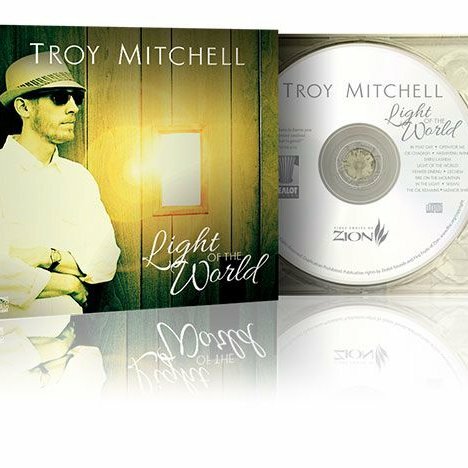 Troy Mitchell has released a brand new Messianic Jewish album entitled Light of the World through First Fruits of Zion’s Zealot Records label. A couple weeks ago on motza’ei Shabbat (Saturday night) those of us from Troy's home congregation Beth Immanuel had a great time singing and laughing around campfires at the release party in honor of Troy’s accomplishment. Sample tracks are available on the resource page at the First Fruits store. Go and listen for yourself! If you enjoyed Troy’s previous album Yoke of the King, then you are in for a real treat. Troy ups the ante with a more intense, full, and mature sound than ever before. The musical compositions on this album are breathtaking and soul-lifting. Troy has managed to fuse musical styles from across the spectrum in a unique and masterful way. The compositions are well developed with many layers of complexity; they have a dynamic range that makes you feel like you have taken a spiritual journey. Those who like to dance will be delighted with this album as well; it’s hard to keep your body still as the rhythms build. Light of the World is also lyrically deep. The songs on this album require an attentive and thoughtful listener. Troy tends to avoid clichés, opting for subtle but powerful allusions that tie together scriptural passages and concepts in Jewish thought. The underlying thread in this album is light, which symbolizes the revelation of God. That light from the very beginning of creation comes to us through Yeshua the Messiah, the light of the world, and it will shine throughout the world in the Messianic Era to come. Bring us back, our Father, to your Torah, and draw us near, our King, to your service, and cause us to return in complete repentance before you. Eden’s sweet, pitch-perfect voice is complemented by Troy’s acoustic guitar and vocal harmony. The result is heart-wrenching. Fire on the Mountain capitalizes on the powerful words of Hebrews 12:18-19, 22 as well as the natural Mediterranean beauty of the Biblical Greek language. Musically, Troy combines intricate flamenco rhythms (a kind of Gipsy Kings flair) with complex jazz chord structures reflective of his late piano mentor Bobby Peterson. So far, the response to Light of the World has been overwhelming. 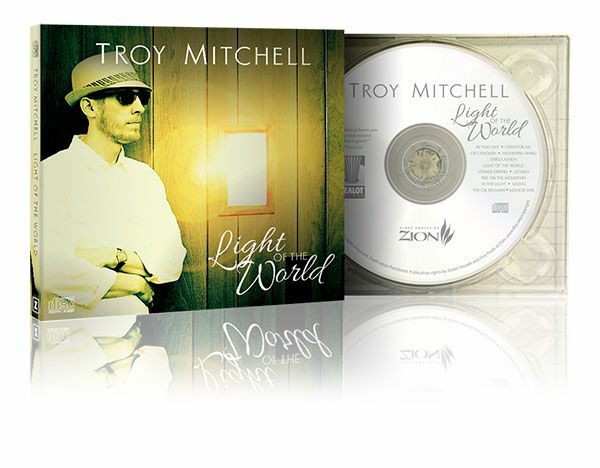 Many people consider Light of the World to be one of the best Messianic music albums to be released in a long time. May this album serve to draw people into the light of the Kingdom! And in the words of the prayers quoted in the Troy’s song Or Chadash, “May you shine a new light on Zion, and may we all quickly merit its light.” Get your copy now at the First Fruits store and follow Troy on Facebook.